Christine Birch, formerly an adjunct professor at the university, joined George Fox as a half-time visiting assistant professor of education in 2018. She primarily teaches online. In the three years prior to her arrival, she taught the Inclusive Classroom in a Diverse Society class to general education teacher candidates as well as a number of courses in the university’s special education endorsement program. 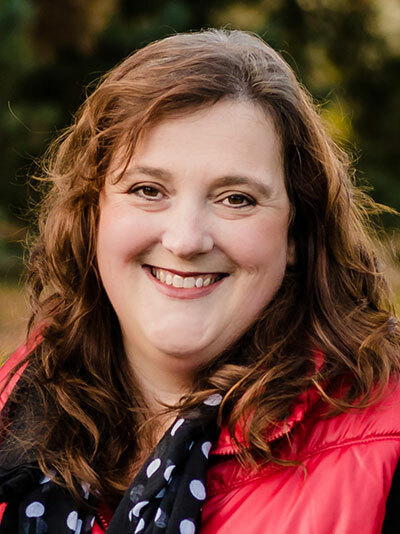 Concurrently, from 2015 to 2017, she worked as an evaluator and a developmental delay specialist for the early intervention/early childhood special education program in the Newberg School District, as well as a tutor using the Orton Gillingham Method. Previously, Birch conducted specialized tutoring sessions and was a substitute for the Newberg School District (2015). She was also a learning resource teacher at Crater Elementary School as a long-term substitute in 2014. In all, she has more than 20 years of teaching experience, having taught previously in Idaho, Iowa, and Kansas. She continues to teach in Idaho as a second-grade reading teacher/specialist at Cole Valley Christian School in Boise. Birch earned a master’s degree in adaptive special education from MidAmerica Nazarene University in Olathe, Kansas, in 2008, and a bachelor’s degree in elementary education, with an emphasis in the educationally handicapped, from Northwest Nazarene University in 1996.